Learn how to accommodate guests in a small apartment. If you rent a small studio or one bedroom apartment, it can be hard to have people visit and stay over without a guest room. Although you may not have a separate room and a bed for your guests, there are still ways to make your family and friends feel comfortable and at home! Here are a few creative ways to accommodate guests in your small apartment. You want to provide your guests with as much privacy as possible, and sharing your bedroom is often not the most ideal situation. If you have another room, such as the living room or office space, this is typically the best place to transform into a guest room. If you plan on having guests over frequently, it’s a good idea to invest in a pull-out couch. Pull-out couches come in various sizes and styles, so you can find the perfect one to fit your apartment design, and your guests will always have a place to sleep! If you don’t have a pull-out couch, an air mattress or cot works as well. Be sure to set up the bedding before they arrive, so they have a space of their own, with blankets, pillows, and towels nearby. 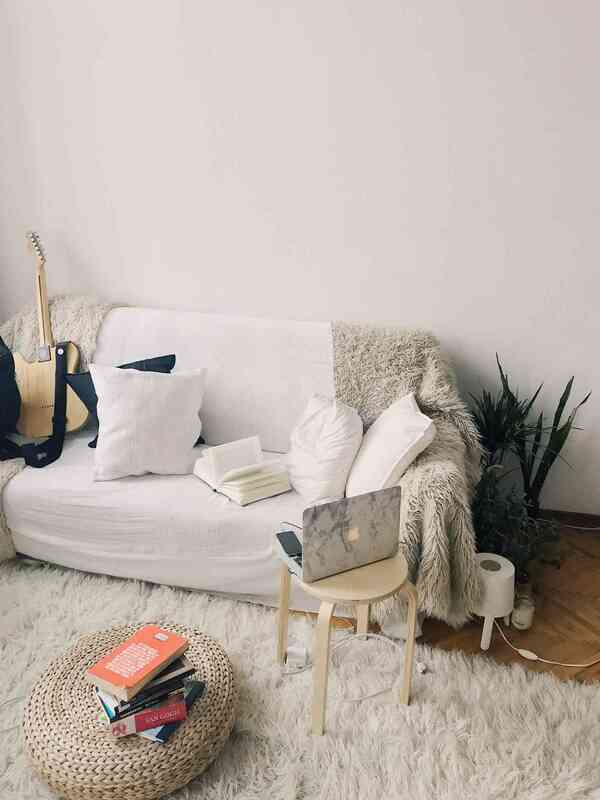 Whether it’s in a guest room with a queen-sized bed or an air mattress on your living room floor, there are a few essentials every overnight guests should have to feel at home. The first essential is good lighting, with a lamp for reading before bed, and a nightlight to guide them to the bathroom in the middle of the night. Next is a bedside table- although this doesn’t need to be a real table. An ottoman, stool, or coffee table can double as a place for guests to leave their phone charged and a glass of water within reach. Also, accommodate guests by clearing a shelf in your bathroom for their toiletries, and a place in your closet or room to keep their suitcase. To ensure your guests have a fun stay, stock up your kitchen with their favorite drinks and snacks, or prepare their favorite dinner. If your guests are early risers, set up a breakfast station with the coffee maker, cereal, or granola, so they don’t go hungry as you sleep in. Take your board games, cards, and movies out of storage for easy access, so guests can either entertain themselves on their own, or join them for a fun night in! This entry was posted on Friday, May 4th, 2018	at 4:15 pm	. Both comments and pings are currently closed.